Y2.U3.3 Controlling Labor Costs. 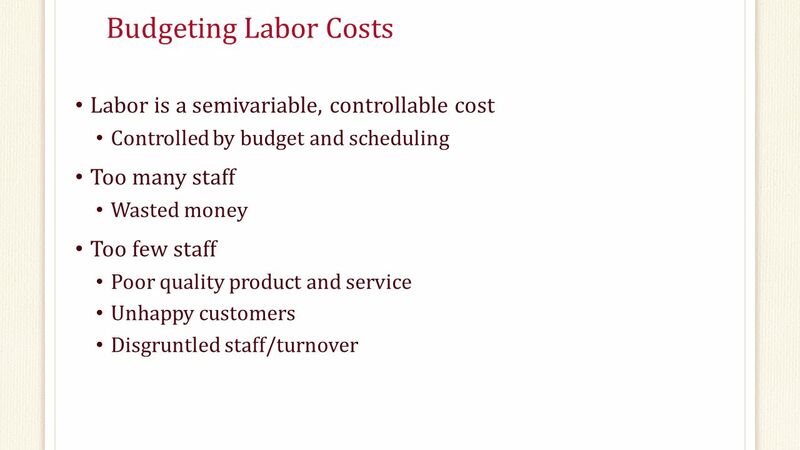 Questions How do labor costs affect cost control? 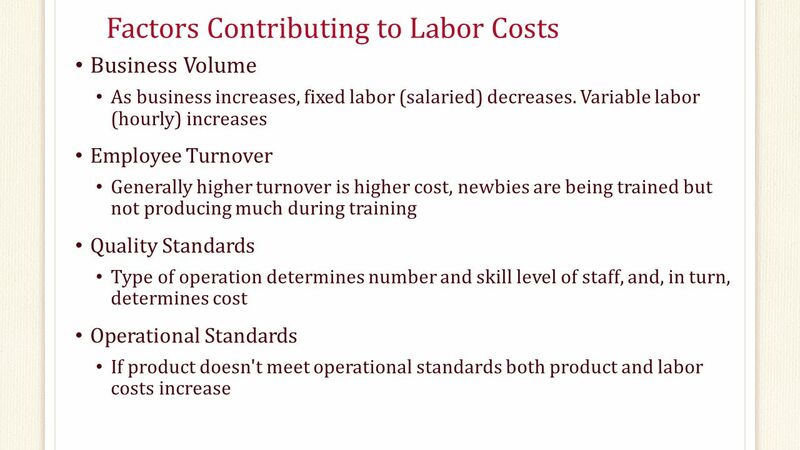 What factors effect labor cost? 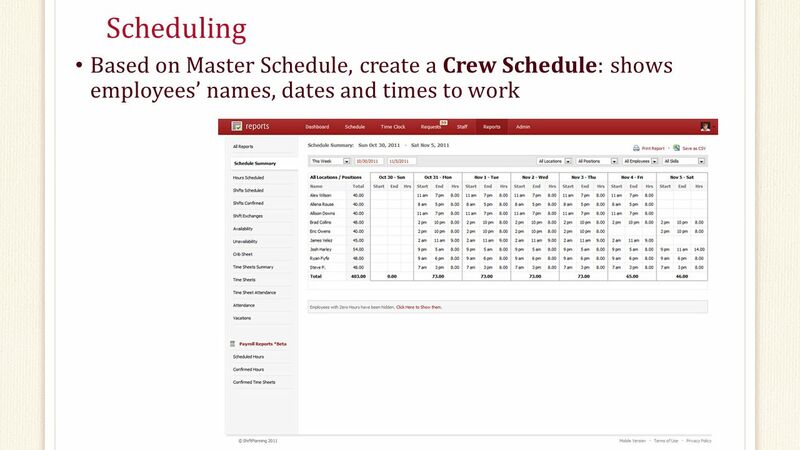 How is effective scheduling achieved? 2 Questions How do labor costs affect cost control? What factors effect labor cost? 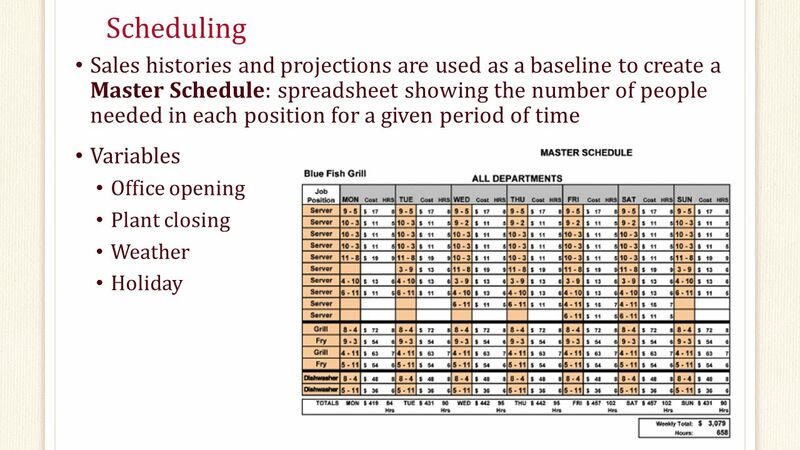 How is effective scheduling achieved? 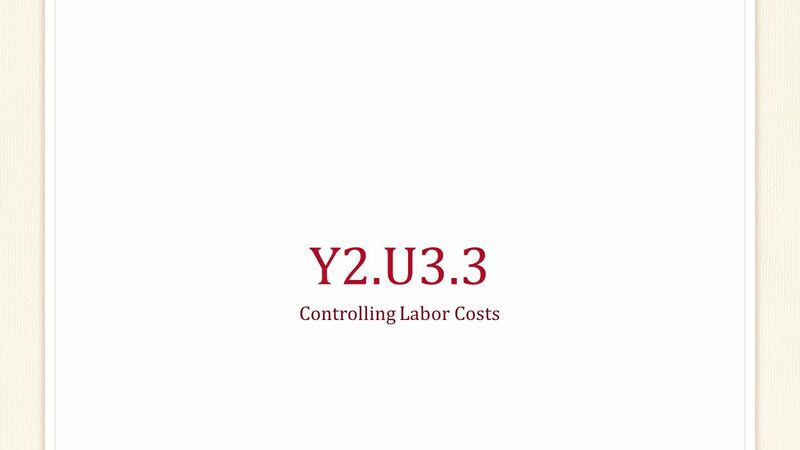 Download ppt "Y2.U3.3 Controlling Labor Costs. 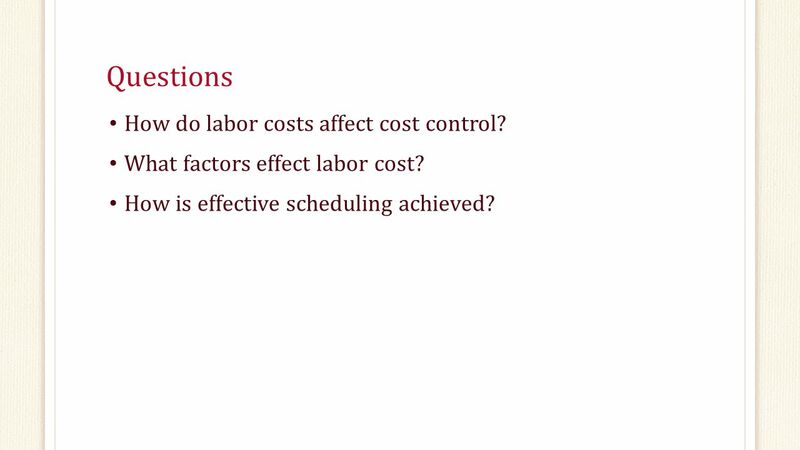 Questions How do labor costs affect cost control? What factors effect labor cost? 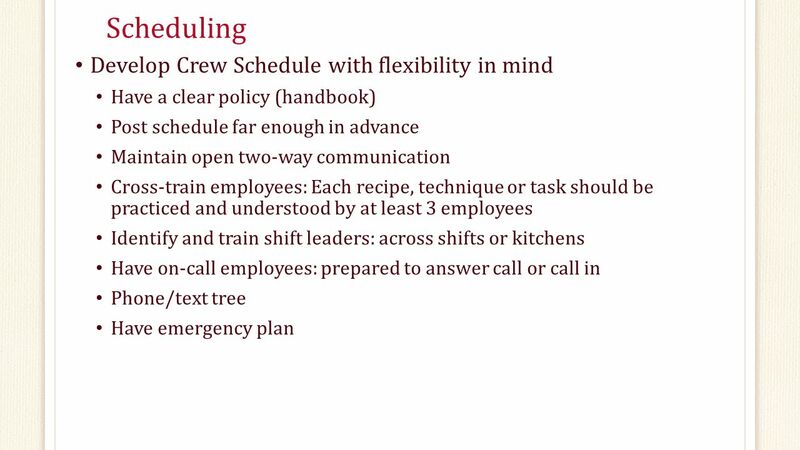 How is effective scheduling achieved?" Trust Policy The Trust aims to maintain a workforce that is highly skilled, competent and flexible and one that puts the patient at the centre of maintaining. OH 2-1 Agenda Sign in for all classes to earn credit for class Sign up for Presentations A test final test question will come from each of the group presentations. OH 1-1 Agenda Welcome Ground Rules Warm Up Activity Syllabus NRAEF ManageFirst What is Cost Control? Next week. OH 9-1 Agenda Test 1 – Handout & questions Chapter 8 Controls in Beverage Purchasing, Receiving, Storing & Issuing Chapter 9 Controls in Beverage Production. HOSPITALITY MANAGEMENT Ch. 16 HS. THE GENERAL MANAGER  General Manager – is a person responsible for the entire operation of one unit of a hospitality. Understanding Cash Flow Projections Mona El-Chami, Senior Financial Management Specialist World Bank November 2013 Tripoli, Libya. CHAPTER 3 COST CONTROL What is revenue? (147) The income from sales before expenses. Budgeting and Standard Cost Systems Chapter 13. Budgeting A budget is a financial and quantitative plan for the acquisition and use of resources Use for.